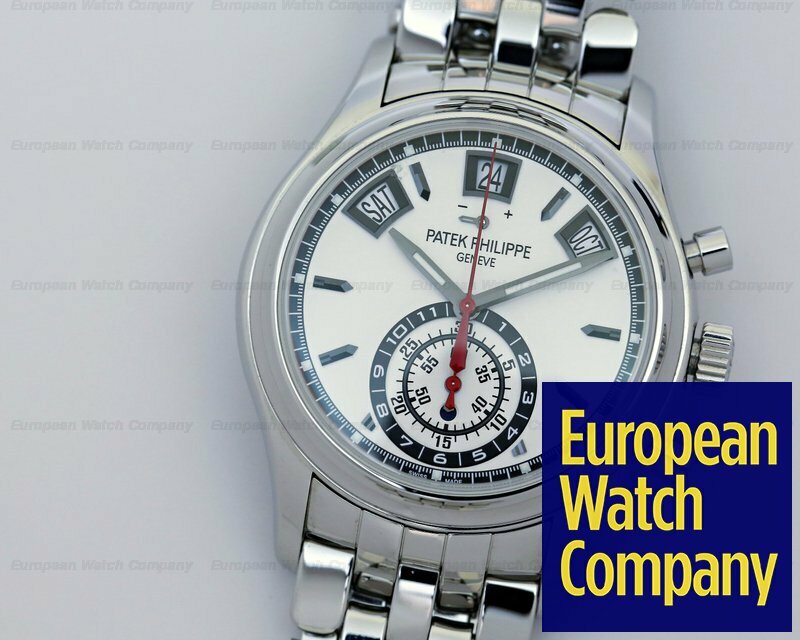 Fellow WIS, after a long hiatus from Patek, I judged it time for re-entry for what seemed to me, a complicated PP made for me. I bought a 5960/1A from an AD, which left me fiscally destitute. 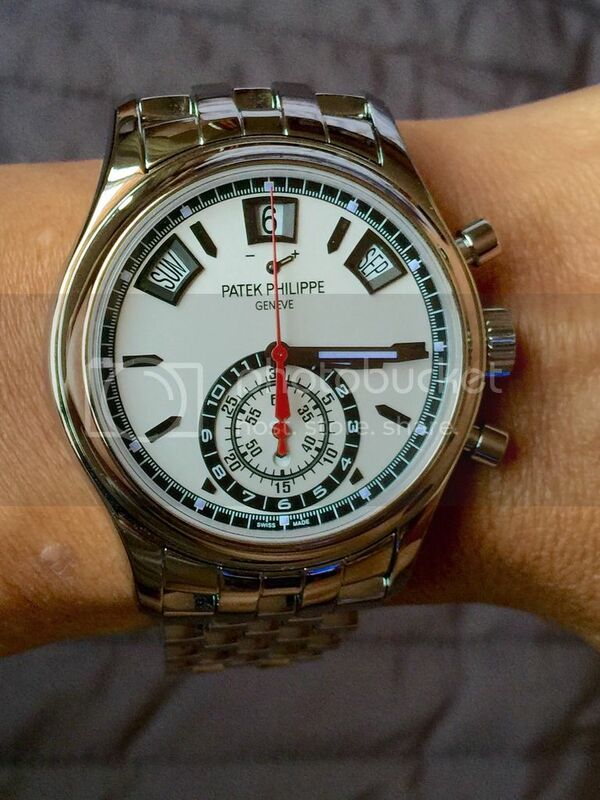 On the second day of enjoying my new acquisition, I noticed a strange behaviour from the Power Reserve indicator. While on full wind, the PR was at the + indicator, as the watch ran down with little activity such as at night or when left on the table, the PR indicator crept clockwise downwards, instead of the usual counterclockwise towards the "-" indicator! Yes, on the 5960, the power reserve indicator goes down clock-wise. Your watch is working completely normally! That is truly wonderful news indeed! 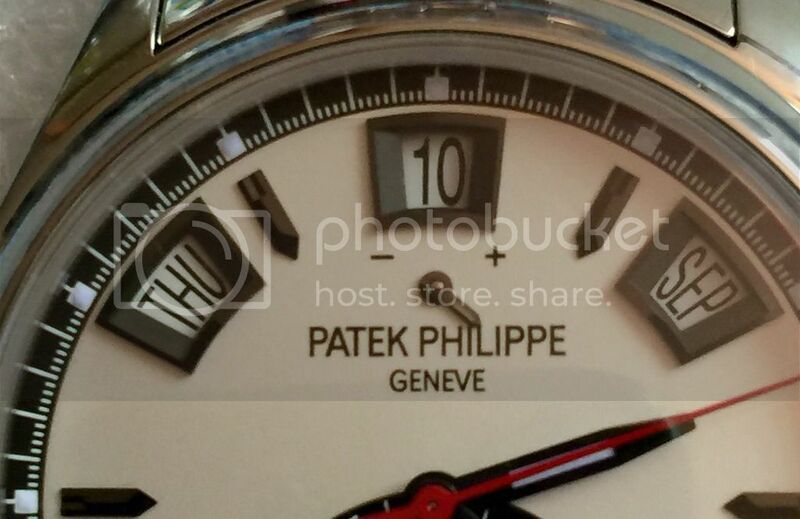 I had thought that the indicator would have gone over and above in a counterclockwise direction and of course this is not indicated on the watch face or in the Patek owners' manual anywhere!! I'm so pleased to hear that it ain't broke! Thank you for making my day!! I had always liked this piece and had considered acquiring it a few times in the past....but this spoils the party - now it has a kink. That is a terrible way to unwind the marker...go over the signia. Thanks for sharing that. I do agree with you that positioning the arc of the PR over the name vs overhead is not particularly intuitive vs the more obvious overhead. Whole it is a shame, finding this out is quite a relief for me to know that I don't hv a defective example. This particular detail is not addressed in any of the reviews that I hv read nor any net based photos that I hv seen. If you wind a 5960 before wearing it and have even modest activity, it never unwinds enough to obscure the logo.